Richie accepted a TV appearance on the Canal + Le Grand Journal talk show. 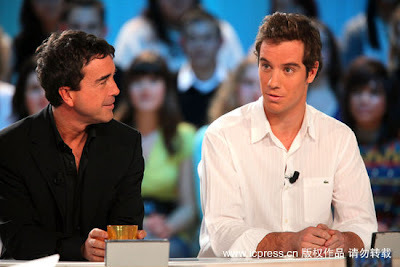 The Court of Arbitration for Sport (CAS) gave Richard Gasquet an early X'mas present by clearing him of drug charges. 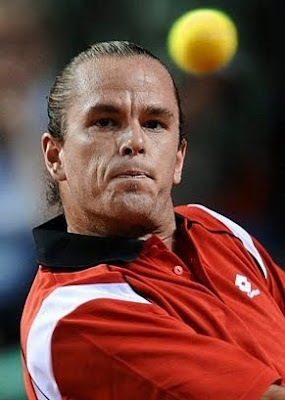 The CAS dismissed appeals by the World Anti-Doping Agency (WADA) and International Tennis Federation (ITF), which wanted Gasquet banned for up to two years. In his defense, Gasquet said he went to the nightclub with friends to see a French DJ perform after pulling out of the Miami Masters in Key Biscayne with a shoulder injury. He met a woman named Pamela there and kissed her several times. The verdict however was greeted with dismay by WADA and the ITF. Earlier this week, Belgians Yanina Wickmayer and Xavier Malisse also have their suspension lifted. They were banned in November for breaking WADA regulations by failing to report their whereabouts for drug testing. Neither of them failed a doping test. Wickmayer claims she was not properly informed of the online reporting requirements for drug-testing that led to her ban. Wickmayer and Malisse are cleared to play in tournaments by ITF while Gasquet is legally allowed to compete in tournaments.